Prev Rising Wishes Mobile to Celebrate the Chinese Lantern Festival Next Easter Bunny Ice Cream Sundaes! I have learned that one of the great things about Passover Dinner is that it is used as a teachable moment from start to finish for Jewish children. Unlike so many other dinners where little kids are banished to a separate table in another part of the room or rushed off to bedtime so the adults can relax and enjoy a glass of wine in peace, this dinner is all about teaching to curiosity early on. A great way to do that is to include little conversation starters that encourages questions. 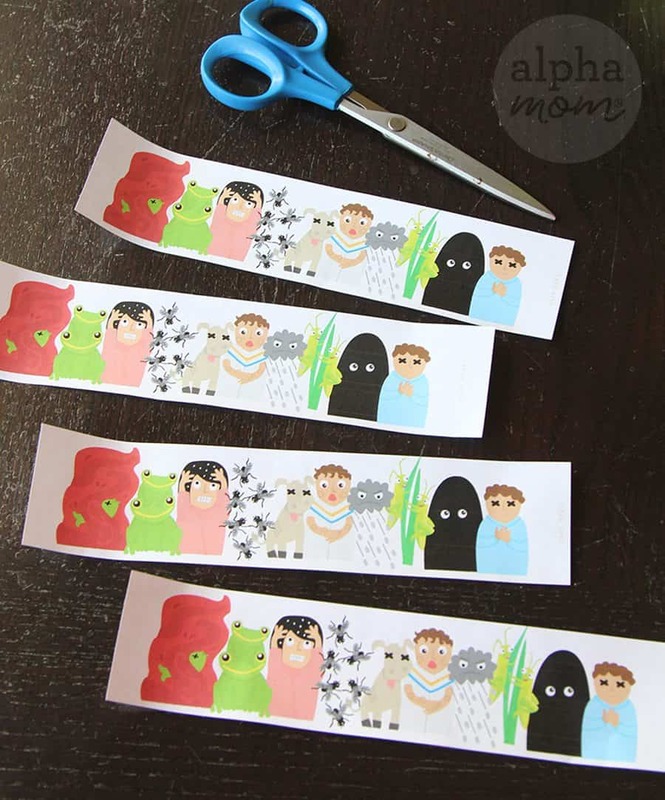 We thought it would be fun to make napkin rings illustrating the Ten Plagues. They might not be the most appetizing napkin rings you’ve ever seen but they will definitely get your little kids asking questions. You can learn more about the plagues here (where I originally illustrated this art for puppets). Now before you rip open your napkin ring you can roll it around and name off the plagues one by one. 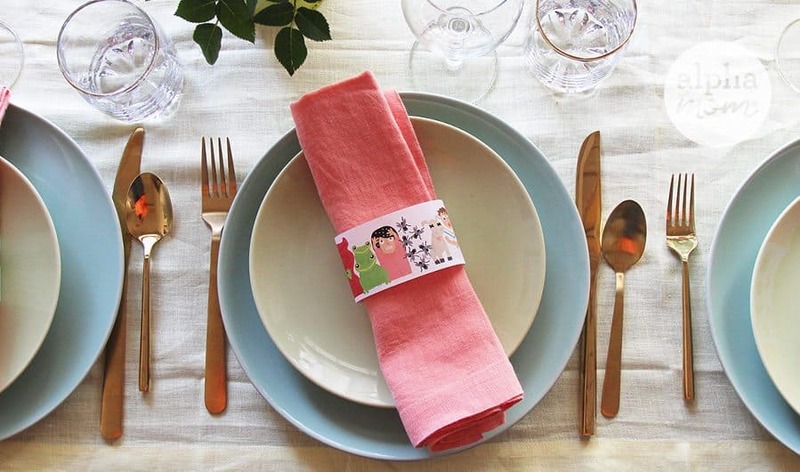 To make napkin rings like these you will only need our printable and double-stick tape. 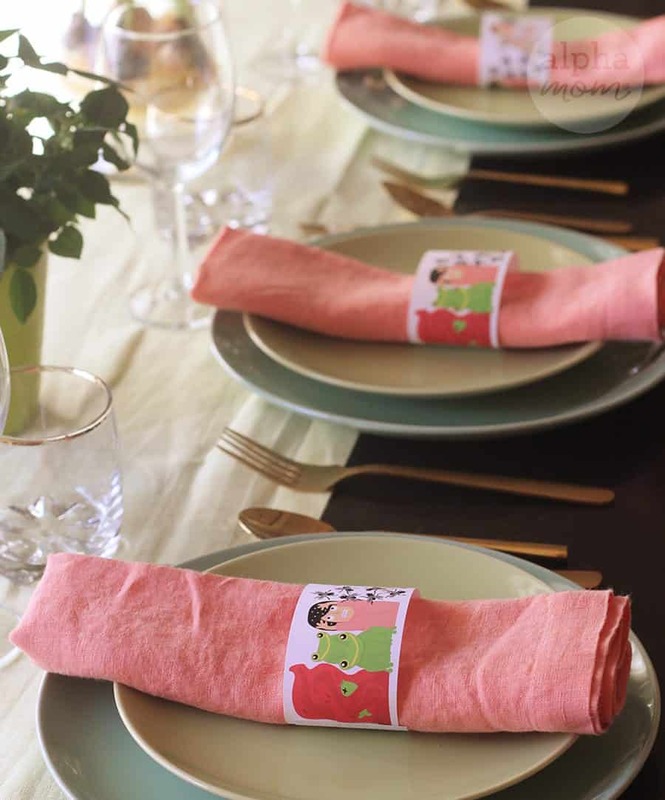 Then cut each napkin rectangle out and attach a small piece of double-stick tape to one end where it says “tape here.” Roll the napkin rectangle into a ring and seal it with the tape with the illustration on the outside. Make sure you don’t overlap too far and cover up any of the pictures. Then slide your napkin through the ring and you are ready to set your table!